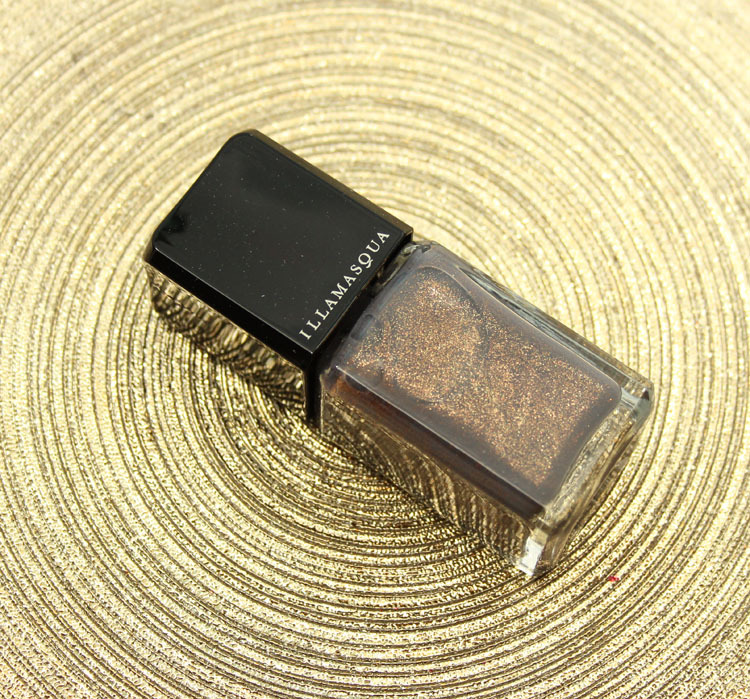 So I know I am cruel and evil for showing you the beautiful Illamasqua Nail Varnish in Facet because it’s so hard to get in the US now. But the beauty of this polish is too much for a person to keep to herself, so show it off to the world, I must. First let me say I do not know HOW ON EARTH this polish escaped my attention until recently. It came out last fall and somehow I never saw it. Since Illamasqua no longer sells in Sephora or really anywhere in the US now, a lovely friend from Canada got it for me. Such a sweet person! I do know this. Soon, supposedly, we will be hearing where Illamasqua plans on selling here, according to their PR people. So maybe stand-alone stores? Maybe they will be in department stores? Who knows, but I can’t wait because we need better access to their beautiful treats! Facet is so hard to describe. 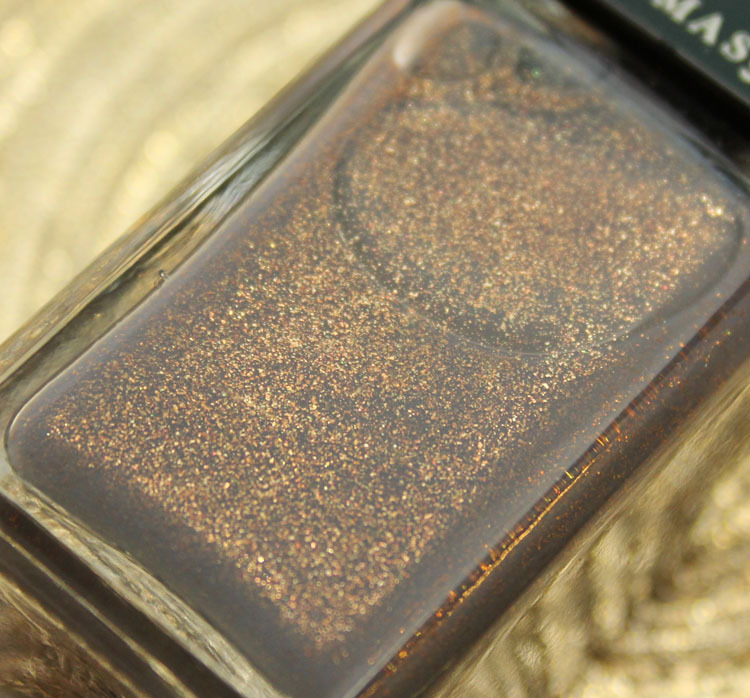 It’s got a greyish/taupe-y base and it’s jam packed with gold and copper shimmer. The formula is really good as well. It starts off a little sheer looking but with the second coat it’s completely covered and opaque. I cannot get enough of this color, so unique, so mesmerizing, so flattering and cool looking. If you can somehow get your hands on it, I highly recommend you do. This has fast become one of my top favorite Illamasqua shades of all time. So, I’m going through your site to catch up on things (I’ve been neglecting my polish collection this year, sadly), and I just came across this post! I’m actually wearing “Facet” right now. I searched for it for a long time, and then finally it showed up on the Illamasqua website! It arrived last week, and it really is so completely gorgeous! I’m a sucker for grays (particularly unique ones), so this was immediately a favorite. I didn’t know that they had stopped selling Illamasqua in Sephora. Such a shame! It is fairly easy to order off their website and have it shipped to the U.S., but (in case anyone else reads this) they do ship DHL and a signature is required. I’d much rather be able to pick them up in a store somewhere.